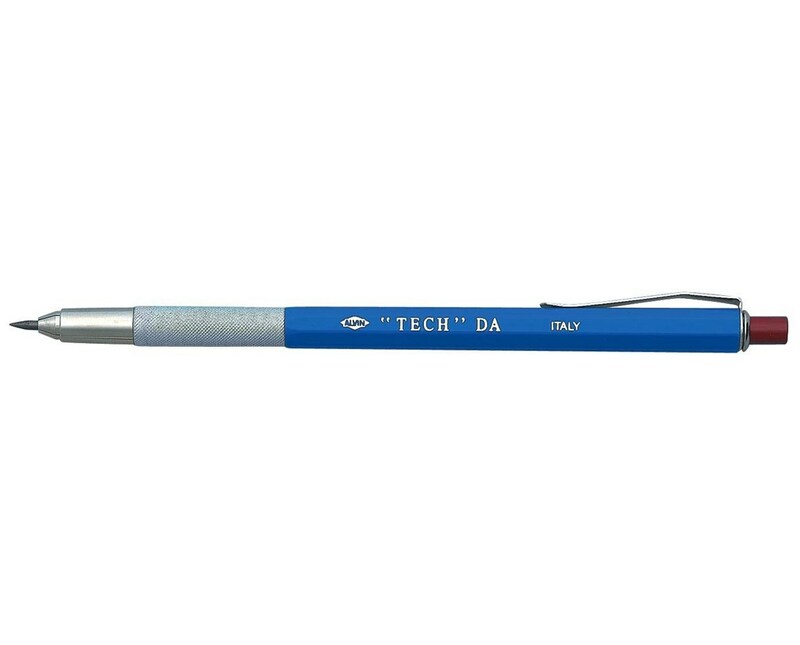 The Alvin Tech DA Lead Holder is a functional and durable drawing tool that features a tough plastic barrel. 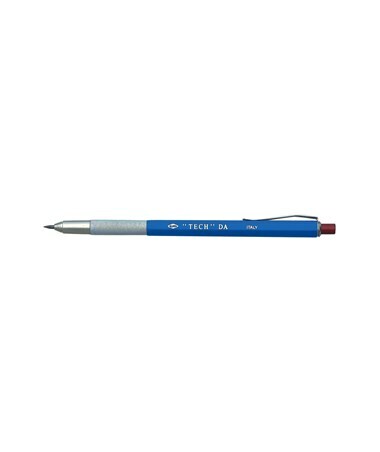 It has a knurled finger grip that provides a comfortable and non-slip handle to ensure accurate drawings. With a pocket clip, it is easily accessible and convenient to carry anywhere. This lead holder is equipped with a four-way vise-grip jaw to hold a two-millimeter lead with extreme firmness. This is to guarantee a consistent and stable drawing at all times. It also comes with a spring-loaded lead release that allows lead advances by just clicking its cap. Readily usable, this lead holder is loaded with one lead. The Alvin Tech DA Lead Holder offers two quantity options. It is sold individually in blister pack or in pack of 24. The 24-pack set contains an optional 6"W x 5¼"L x 10¼"H peg hook counter display that is made of acrylic. This is for displaying and storing the 24 blister-carded lead holders included in the package. The Alvin Tech DA Lead Holder comes in two different packages to suit various needs. Please select your preference from the drop-down menu above.